Send these 4"x6" postcards to your flock, use them as gift tags, or frame them for yourself! 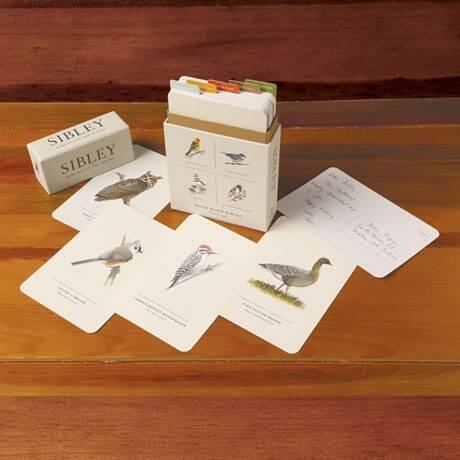 Illustrated with colorful paintings of different bird species by renowned ornithologist David Allen Sibley, Sibley Birds Postcards contains fifty postcards, organized into Waterfowl, Woodpeckers, Wading Birds, Songbirds, or Owls and Raptors. Sibley Backyard Birding Postcards feature 100 postcards (on a slightly lighter cardstock) of quails, doves, hummingbirds, and other common feathered "neighbors."